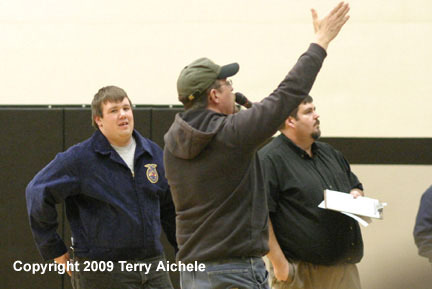 IRRIGON - The Irrigon High School FFA conducted a workers for hire fundraiser on Friday January 16, 2009. 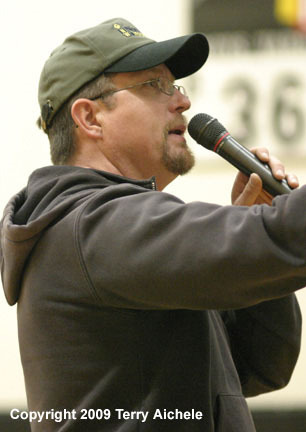 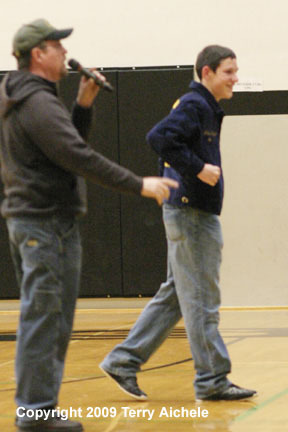 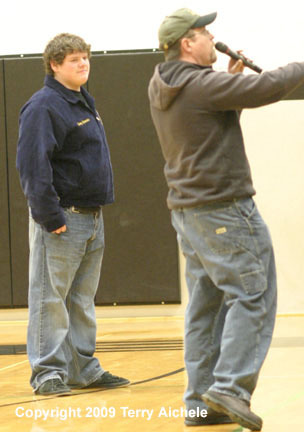 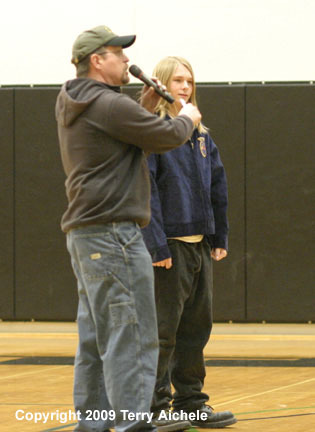 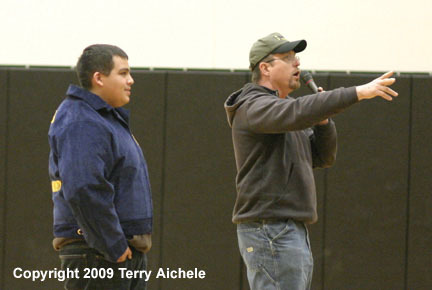 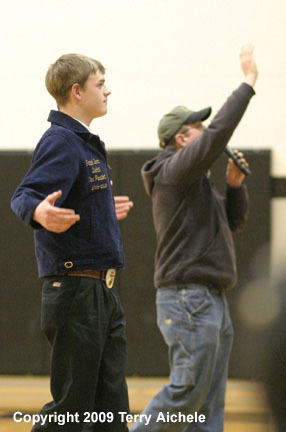 The fundraising took place at halftime of the basketball games at Irrigon High School. 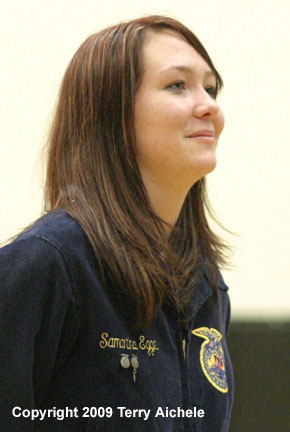 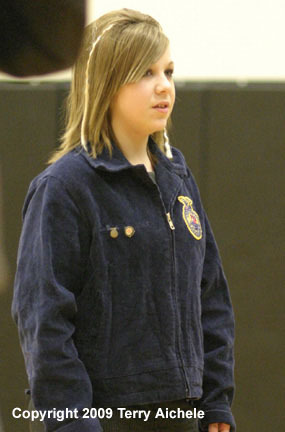 About fifteen students offered to work for eight hours in return for a donation to the school's FFA chapter for national acitivies. 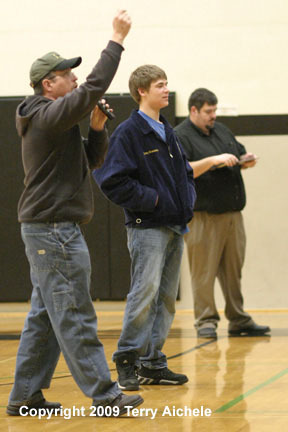 Around $2000 was pledged by supporters in attendance.